September and October were some very fruitful months for my music collection. Almost every week, a new album that I had been waiting for was released, such as Ryan Adams’ “1989“, CHVRCHES “Every Open Eye” and Lana Del Rey’s “Honeymoon” (a review of both albums will be published in the upcoming weeks!). But this album, is an album that I have been looking forward to the most. Editors is a band that I have listened to for the biggest part of my life, a band that I always shared with my Dad. Very often, we hear a song which we both like, but we hate the vocals, and then we always say to each other: “If only Tom Smith had sung this…”. We both love Editors, ever since it started with “The Back Room” (my Dad has the record on vinyl and I am jealous) and “An End Has A Start”, singing along to the lyrics of “Munich” and “The Racing Rats“. Concerts and festivals followed, with my family and me crammed in a tiny car to go see the band perform, or waiting on a festival field for Tom Smith and his consorts to climb the stage. After releasing four – very different – albums, Editors once more released an album that is something completely else. The first two records, both “The Back Room” and “An End Has A Start” are guitar records, inspired by Joy Division and Echo & The Bunnymen. The synth-driven and dark “In This Light And On This Evening”, Editors’ third record, surprised both friend and foe, whereas their fourth LP, “The Weight Of Your Love” brought the band back to the roots of their first two albums, with a more rock-inspired sound. One could argue that Editors went back to their third album with “IN DREAM”, because of the more electronic sound of the record. However, “IN DREAM” is as much “In This Light” as it is not. Dramatic and grotesque, but at the same time very intimate and minimalistic: “In DREAM” is a work full of opposites. Even within songs, there is juxtaposition. In “Salvation”, graceful violin strings stand in sharp contrast with minimalistic beats, poetic vocals and hard, violent and intensely dark choruses. The contrast within the song is deliciously complex and a real treat to listen to. “IN DREAM” is also an album for firsts, because it features the first duet ever featured on an Editors album. “The Law” is an experimental composition, with hollow, almost hypnotizing synths and an intense and intimate conversation between Tom Smith’s dark whispers and Slowdive’s Rachel Goswell’s angelic choruses. My personal favorite of the album is the opening track, “No Harm“. Perfectly minimalistic and yet incredibly complex, the song has an incredible build-up. Starting with bare synths, followed by dark and echoing vocals by Tom Smith, a heart-breaking falsetto chorus, the song slowly grows into an electronic symphony, guided by haunting vocals, deep synths and a secretive guitar. On the one hand, I love “IN DREAM”, but on the other hand, when I think of their early work, the work I fell in love with almost ten years ago, I passionately miss that work. 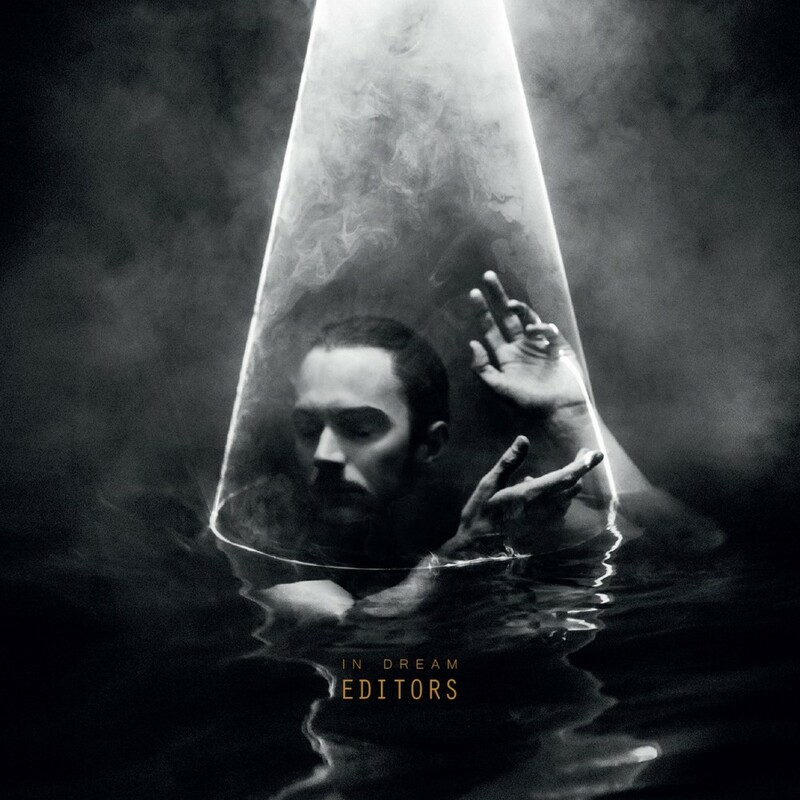 For me, the essence of Editors was their darkness, their chilling lyrics, deep vocals and elegant, yet incinerating guitar sounds and when listening to “IN DREAM”, that specific essence is as good as gone. Instead, that essence is found in deep and dark synths, graceful strings, more upbeat rhythms and a new vocal range for frontman Tom Smith. “IN DREAM” is still a dark album, not made to storm the charts or become stadium anthems, but much more complex and experimental. A logical answer to “In This Light” and an interesting step in Editor’s musical direction. Almost shockingly different from all its predecessors, Editors delivered an album that may not be loved by all fans, but definitely loved by some. Including me.